The Healthy Living Committee (HLC), with support from the Community Outreach Council (COC), held the second annual plant sale at the Des Moines office on May 15. Vegetables, herbs, annuals, perennials, and berry plants were available for purchase on Merchants' patio thanks to donations from Andre Carl, Regulatory Compliance Analyst, and other Merchants associates. 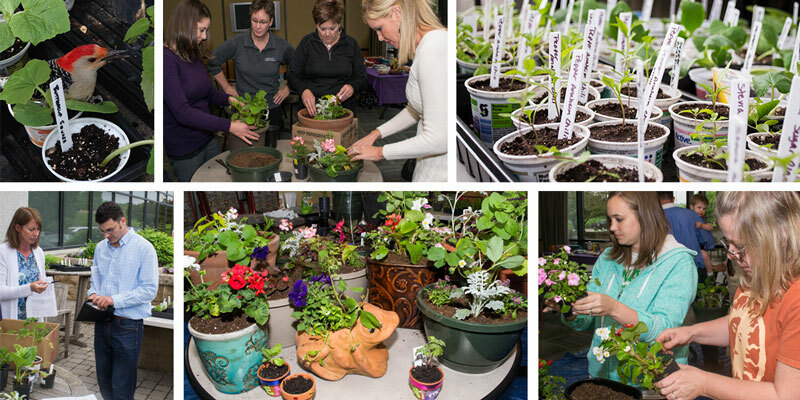 A potting party was added this year in conjunction with the plant sale, offering associates a hands-on tutorial in creating beautiful planters for their homes using plants from the sale. Potting party attendees enjoyed a freshly grilled meal and children decorated mini pots in which they planted seeds and seedlings. The sale and potting party raised nearly $1,200 for this year’s Charity of Choice, Youth Emergency Shelter Services (YESS).